A recent ACCC report shows Fremantle Port is leading the nation for freight on rail, with the port boasting the highest proportion of containers carried on rail. Fremantle Port currently has the highest share of containers carried by rail at 17.9 per cent – well above the national average of 11.4 per cent at the time of the report. It was also the only port in the country to experience an increase in freight on rail over the last financial year. The report attributed the McGowan Government’s election commitment to increase the container rail subsidy from $30 per twenty-foot equivalent unit (TEU) to $50 as a major driver for the high proportion of freight on rail. It also noted that most port authorities across Australia recognised the importance of freight on rail and that ‘moving more containers by rail eases congestion in arterial roads servicing ports and relieves noise and air pollution in urban areas near ports’. The subsidy increase took effect on January 1, 2018. The policy has helped increase the percentage of freight on rail from about 16 per cent in 2017-18, to an 18.3 per cent average in the first quarter of 2018-19. Close to 102,000 TEU were moved by rail between January and September this year, compared with about 82,000 TEU in the same period last year – removing an additional 15,000 one-way truck movements off roads. “This ACCC report reinforces that the McGowan Government’s commitment to deliver more creative freight solutions is well on track,” said Transport Minister Rita Saffioti. “Fremantle Port was the only capital city in Australia to experience an uplift in its share of containers carried by rail – in fact, we are now 57 per cent above the national average. State Member for Fremantle Simone McGurk said, “the proportion of freight moved by rail fell into the doldrums under the Barnett Liberal Government. 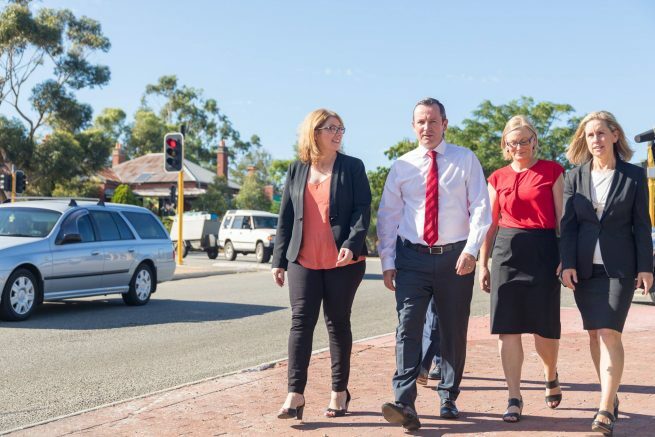 “The McGowan Labor Government is getting freight back on rail and taking trucks off Fremantle roads.